Construction is booming in the Dallas-Fort Worth area, but it is also one of the most dangerous industries for workers. Construction workers are exposed to many hazards that can cause catastrophic injuries or death. Unfortunately, many of these workers are employed by non-subscriber companies who have opted out of providing workers’ compensation benefits. If you are in this situation, our experienced non-subscriber workplace injury attorneys are here to help you prove your employer’s negligence and your right to compensation for your injuries. Falls. Falls accounted for 38.7 percent of all construction worker fatalities. Many of these dangerous falls are from heights, such as a building, scaffolding, or heavy machinery. Workers can also suffer long-term injuries if they fall into a hole or ditch at a work site. Struck by objects. Approximately 9.4 percent of deaths were caused when workers were struck by heavy objects, such as tools, construction materials, and equipment. Electrocution. People who work at construction sites often must work near live electrical power lines and other electrical wiring, power tools, and machinery that can lead to electrical shocks and burns or electrocution. According to OSHA, 8.3 percent of all deaths were caused by electrocutions in 2016. Being caught between objects. Being caught in between or inside objects, such as forklifts and other heavy machinery, can cause amputations, spinal cord injuries, internal organ damage, crushed bones—or death. These incidents accounted for 7.3 percent of all construction worker deaths in 2016. 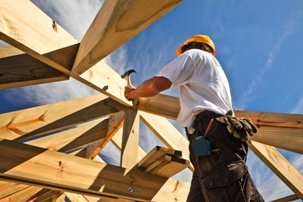 If you are injured at a construction site and work for a non-subscriber employer, you are entitled to compensation for your injuries if you can prove that your employer was at least one percent negligent in causing your injuries. Learn more about your legal options by calling our office to schedule your free initial consultation. Our skilled lawyers represent clients throughout the Dallas/Fort Worth area.